Note: The selection criteria falls into four strands. 1) those born in a French Caribbean country and have played for a French Caribbean country. 2) those born in a French Caribbean country but have played for France at international level. 3) those born in France but have represented a French Caribbean country. 4) those born in France and have either represented France or have not, but crucially hold French Caribbean ancestry. Note: The French Caribbean islands encompass: Martinique, Guadeloupe and French Guiana – all three are French overseas departments – as well as Saint Martin, a French overseas collectivity. Saint Barthélemy are also a French overseas territory, however, they haven’t been included as their national football team isn’t a Caribbean Football Union member. Haiti, Dominica and St Lucia are independent nations, with the latter two gaining independence from Great Britain following periods of French colonization, and therefore haven’t been included. Key: F-born = French born. FC-born = French Caribbean born. F int’l = Played for France at some age level internationally. FC int’l = Played for French Caribbean country at some age level internationally. The French-born Martinique international is one of the most well-experienced goalkeepers in France’s top tiers, lodging over a combined 300 games in Ligue 1 and Ligue 2. His career highlight includes being named as the Ligue 2 Goalkeeper of the Year during Brest’s 2009-10 campaign that saw them return to the top-flight. On the national team front, Elana was part of Martinique’s 2014 Caribbean Cup squad, playing once in a 3-0 loss to Haiti. He has a total of seven caps to date. Developed with Cannes, Clichy was signed by Arsenal in August 2003. As an 18 year-old, he was part of the “Invincibles” squad that went undefeated in the league season. He would play over 300 games for the Gunners, where he also won one FA Cup, before making a move to Manchester City in 2011. Since then, he has won two Premier League titles as well as two League Cups. 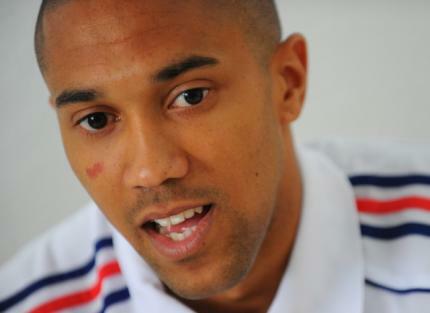 With the French national team, Clichy was used as a reserve left back behind long-time veteran Patrice Evra. He was, however, the starting left back for Les Bleus in their Euro 2012 campaign. His last national team appearance dates back to France’s 6-0 thrashing of Australia in October 2013 when he came on as a second-half substitute for Evra. Varane’s father was born in Martinique before emigrating to the north of France, where Raphael started his professional career with Lens before moving on to European powerhouse, Real Madrid. Since joining the club in 2011, he has become a leader at the back whilst winning two Champions League titles. With the French national team, he was on the shortlist of the 2014 World Cup Best Player award, eventually losing to compatriot Paul Pogba. 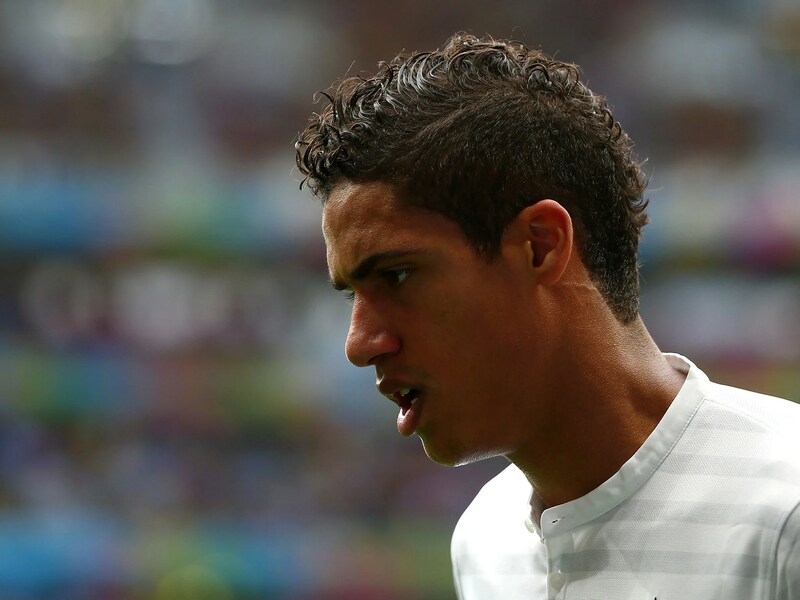 Varane missed out on Euro 2016 due to a thigh injury. In 2004, Brazilian legend Pele drafted a list of 100 players as his greatest living footballers. The list included 14 French players, including Tresor, Thierry Henry, and Lilian Thuram (the latter two are profiled further down). The two-time World Cup veteran was part of the 1982 squad that would end up finishing third after a controversial penalty kick semi-final loss to West Germany, where Tresor scored the final goal in a 3-3 draw. Born in Guadeloupe, Thuram’s playing resume includes stints at Monaco, Juventus and Barcelona. 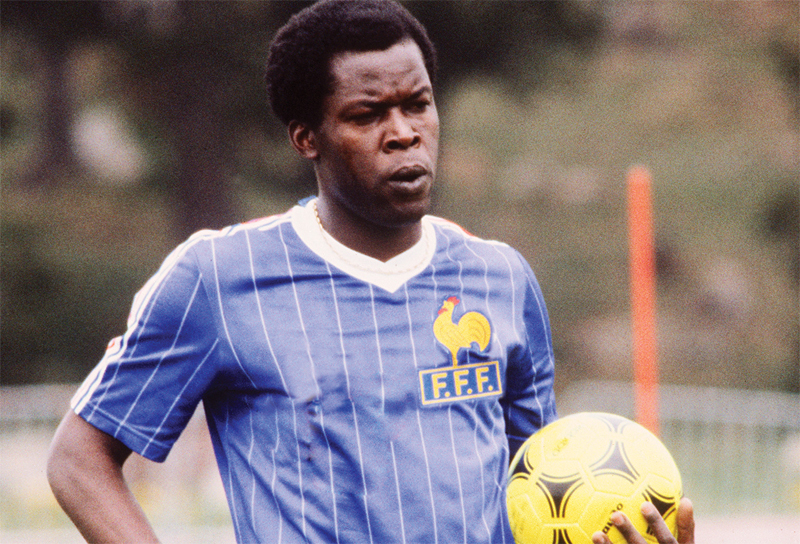 With numerous titles at club level, Thuram was always seen as the intelligent leader for the French national team. 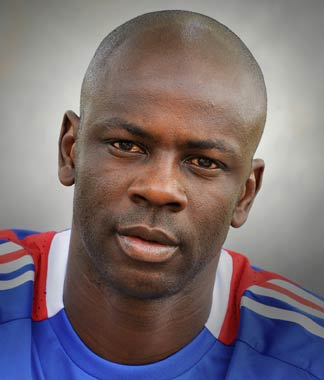 Having been part of a combined seven World Cup and European Championship squads, Thuram has the most caps for France with 142. His only two goals for his country would come in the 1998 World Cup semi-final against Croatia as France would go on to come back and win 2-1 to set up a now very, very memorable final. 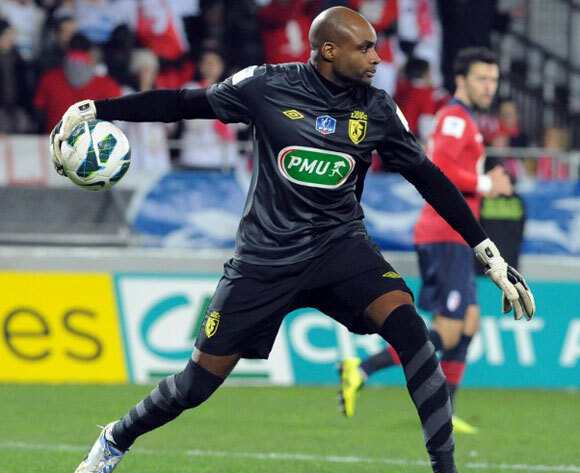 His cousin Yohann Thuram-Ulien is the current Guadeloupean national goalkeeper. After spending numerous years at Toulouse, including a selection in the 2011-12 Ligue 1 Team of the Year, Tottenham Hotspur signed the defensive midfielder in 2013. But the Frenchman struggled to adapt and only played a limited role for the North London club. In July last year, he signed with fellow Premier League side Watford for a reported club-record fee of over £6 million and became a key player for the mid-table club. The 36-year-old made a career as a left midfielder but has the versatility to also play in the middle, whether offensive or defensive. 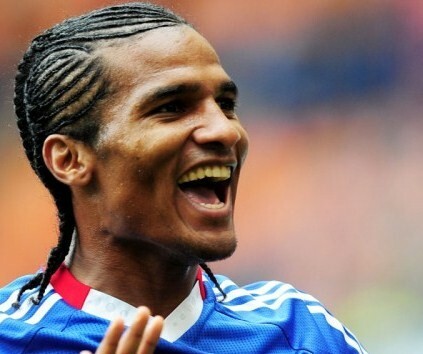 After playing over 200 Ligue 1 games, the majority with Lyon, Malouda made a big-money move to Chelsea in 2007. He would go on to play over 220 games for the club, winning the Premier League, the Champions League and the FA Cup three times. His French national team resume includes four appearances in World Cup and European Championship squads, logging 80 caps and earning a runners-up medal at the 2006 World Cup. His brother Lesly made his French Guianese debut in 2012. Developed at the same club as Thierry Henry, Martial first became a professional with Lyon in 2012. After only one season with “OL”, Martial was signed by Monaco where he was joint top-scorer in his second season with the club. A £36 million move in 2015 to Manchester United saw Martial directly cement a starting spot as he would go on to score 11 league goals and ultimately become the 2012 Golden Boy. On the international stage, Martial made his French debut in August 2015 and was called up to the 2016 European Championship, where he participated in two group stage games, including a start against Albania. The son of a father from Guadeloupe and a mother from Martinique, the Caribbean roots run long in Thierry Henry. 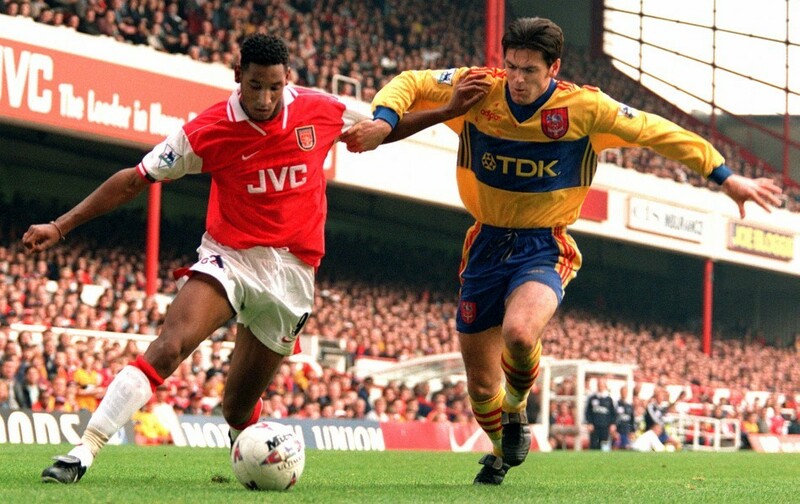 The legend and class that is Henry has impacted some major clubs in Europe – Monaco, Juventus, Arsenal and Barcelona. With those four clubs, “Titi” played over a combined 600 competitive games. He has league titles in France (1), England (2) and Spain (2) as well as Champions League and Club World Cup medals with Barcelona. Following a move to Major League Soccer’s New York Red Bulls, Henry quickly made an impact. He would end his career at New York, playing 122 league games and having a combined 93 goals and assists. On the national team front, he has the second most caps for France (behind Thuram) and the most goals. He was part of four World Cup squads and a trio of European Championship sides, winning one of each tournaments. As a 20-year-old, Coman has a playing resume that most well experienced veterans would dream of. Developed at Paris Saint-Germain, the winger would leave the French capital and join Italian powerhouse, Juventus. After winning the league and cup double, he was loaned out to German powerhouse, Bayern Munich, where he would once again complete the domestic double. Coman made his debut for Les Bleus in November 2015 and was part of Didier Deschamps’ squad for Euro 2016, where he started two of France’s three group stage games. One of the most revered strikers during his prime, Anelka will most certainly be remembered by the French public for off-field issues. One of the most expensive players in history, Anelka accumulated transfers around Europe starting with a move from Paris Saint-German to Arsenal. He would ultimately join the likes of Real Madrid, Liverpool, Manchester City, Fenerbache, Chelsea and Juventus, as well as short stints in China and lastly in India. With those clubs, he has won two Champions League, two Premier League, four FA Cup, one Serie A, and one Turkish league winners medal. With the French national team, his first major international tournament was Euro 2000 – famously won by France over rivals Italy. But Anelka will be remembered for the 2010 World Cup where he directed insults to then-manager Raymond Domenech that eventually prompted a player strike which ultimately saw them finish last in their group, recording one goal from Florent Malouda and losing to hosts South Africa. 5 Martiniquais. 4 Guadeloupean. 1 French Guianese. 1 Martiniquais/Guadeloupean. Note: Some names are bound to be forgotten throughout this process. If you can think of a player who fits the criteria and you think deserves recognition, then please get in touch. Thank you for reading! You can check out Antoine’s Twitter feed here. Feel free to leave any constructive feedback in the comments box below. Meanwhile, you can get in touch with me on Twitter, Facebook and Instagram. Nice list. Often the French Caribbean nations get overlooked but in those nations football is king. In the Anglophone nations there is also cricket and track &field. But the French island are talented!